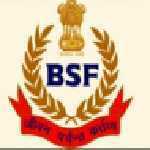 BSF Sub Inspector recruitment 2016-17 notification apply for 19 posts : Border Security Force (BSF) welcomes application for the position of 19 Sub Inspector (Staff Nurse), Assistant Sub-Inspector (Pharmacist Qualified) and CT (Masalchi) vacancies.Candidates who completed their Diploma, Degree in nursing, matriculation is a good opportunity.The individuals who are the occupation seekers searching for govt employments in India this is the best chance to apply. Competitors read the official notification then read all the guidelines and miners precisely then apply before the last date online application got. All the interested and eligible candidates can apply before 30 days from the date of publication. Dead Line date to apply: 30 days from the date of publication. Candidates Age Limit: The age of the candidate should not be less than 21 years and should not be more than 30 years.Age relaxation of 5 years is given for SC/ST candidates and 3 years is given for OBC candidates. Academic qualification details: Candidates should have passed +2 class or equivalent with diploma in general nursing program and registration as general nurse and mid-wife with Central or state nursing council. Candidates Age Limit: The age of the candidate should not be less than 21 years and should not be more than 25 years.Age relaxation of 5 years is given for SC/ST candidates and 3 years is given for OBC candidates. Academic qualification details: Candidates should have passed +2 class or equivalent with Diploma in pharmacy from any recognized institution with internship. Details of Fee particulars: All the interested and eligible candidates are need to pay application fee Rs 50/- through Demand draft / Indian postal order in the favor of respective address. ST / BSF constable / EXSM / women are exempted from application fee. Process of applying for the job: All the interested and eligible candidates may apply in prescribed application form along with self – attested copies of documents / self – addressed envelope 25 X 12 am with Rs 40/- postage stamp affixed on each and bank slip send to the respective address as given notification on or before 30 days from the date of publication. Important Dates: All the interested and eligible candidates can apply before 30 days from the date of publication.